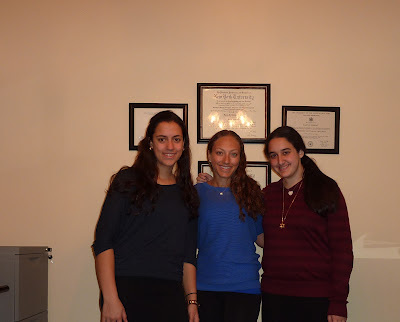 Pathfinders offers an array of internships to high school students of the Yeshivah of Flatbush. For students such as Allison Tawil and Miriam Einhorn, who are interested in health and nutrition, what better internship than one by a Registered Dietitian? In their internship with Karen Moreno, a nutritionist and alumni of YOF (2005), they are exposed to the ins and outs of running a business. Karen has assigned her interns various jobs and tasks to fulfill in which they learn many intriguing facts about not only keeping their own body healthy but also learning how to spread this information to others. One example is the weekly social media posts they are supposed to prepare in which they find recent nutrition studies, health facts, and recipes that will later be posted on Twitter and Facebook.